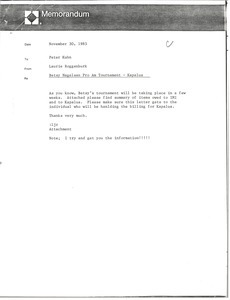 Sending a summary of items owed to IMI and Kapalua following Betsy Nagelsen's Pro Am Tournament. 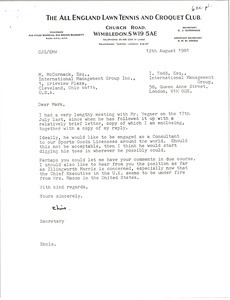 McCormack outlines the revised thoughts concerning the British Open involvement for 1976 including facilities, film library sponsorship, film prints, costs, and accommodations. 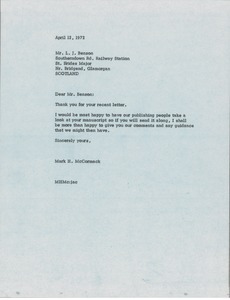 McCormack agrees to have his publishing people take a look at Benson's manuscript. 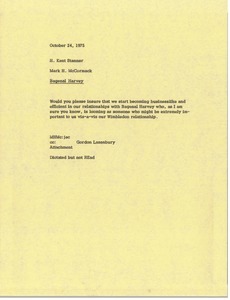 McCormack would like Stanner to insure that they are becoming businesslike and efficient in their relationships with Bagenal Harvey. 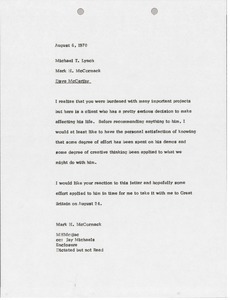 McCormack notes that Dav McCarthy has some serious decisions to make that affect his life. 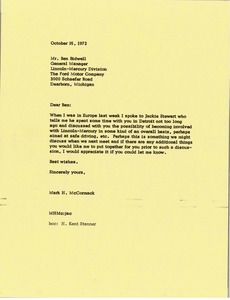 Before recommending anything to McCarthy, McCormack would like to know that effort has been spent on his demos. 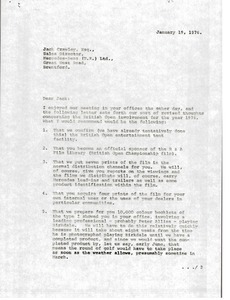 Enclosure not with letter. 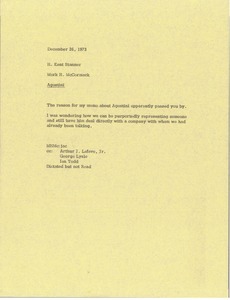 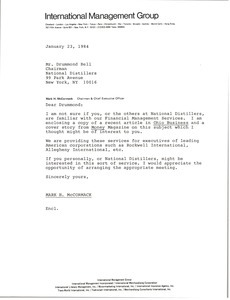 McCormack writes regarding a possible arrangement between Lincoln-Mercury and Jackie Stewart. 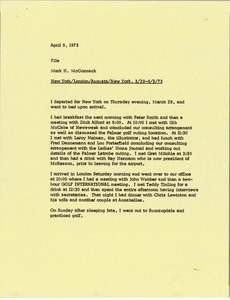 McCormack McCormack recounts expenses and meetings during his trips to New York, London, and Augusta from March 29 to April 9, 1973.